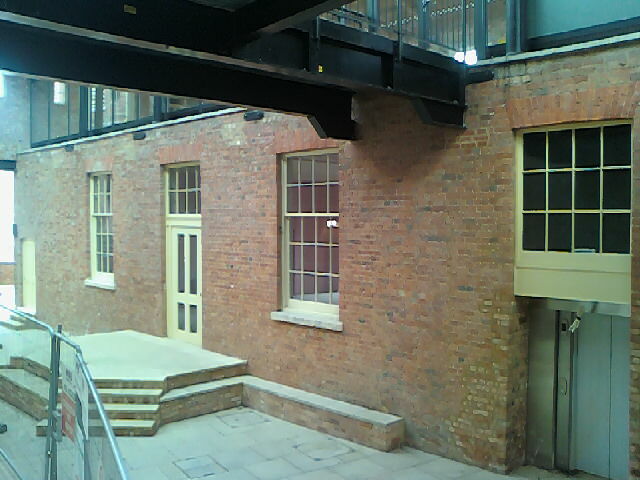 The Wolverton Works Reading Room was build in 1843 along the side of the canal and was smaller than what it is now. The Reading Room was built for the employees of the works to further their eduction or just a place to read. The original reading room became redundant when the Science and Arts Institute opened in 1864 and also when the Wesleyan Chapel opened in 1892 after that the Reading Rooms were much modified and used as the trimming and sewing room until in the 1920s it was converted into the stores offices. The Reading Room was last used by the works in 1964 then it was vacated and left empty. I am not sure if was owned by anyone else, I do know that it was left to be vandalized and fell into disrepair until Places for People brought it in 2006 and started restoring it. In 2009 it was finished. A bar and restaurant now own the building but have stopped the fitting out work for some reason so it again is left empty. 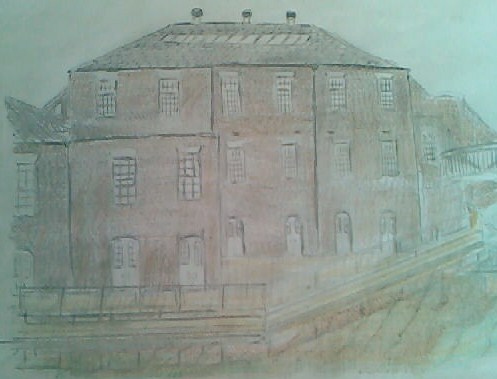 This entry was posted in Living Archive, Wolverton, Wolverton Works. Bookmark the permalink. Very intersted to read your posting on the Reading Room. Do you know if a photo of Queen Victoria in the Reading Rooms exists?